Anna Campbell : Anna’s designs are handmade in Melbourne, Australia and targets the modern romantic bride. The Law: The Law’s designs target a certain Bride in the best of ways, “Our bride is someone who has the ability to pull pieces for her wardrobe from creative sources and then put them together in a unique and sophisticated way”. 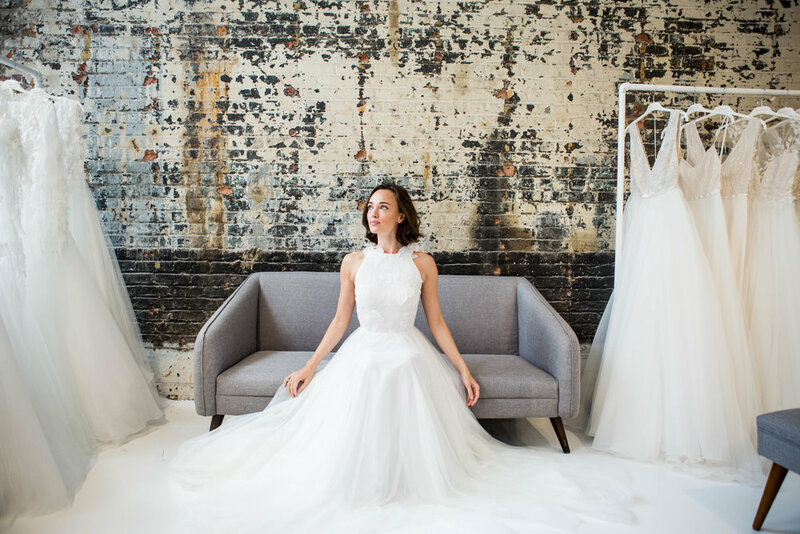 Domenica Domenica believes, “That every bride should tell her story”. Chosen an Australian based Designer who brings together all the grace, style, and fun to her pieces. Lindsay Marie’s ‘heirloom quality adornments’ include perfectly placed Swarovski stones and beautifully crafted delicate accents. Kirsten Paige Kirsten “felt that there was a need in the bridal market for brides looking for something more unique and personalized”. Her signature flowy silky designs bring all the grace and elegance to each and every piece. Catherine Kowlaski Bridal Catherine “takes an untraditional approach to bridal couture, offering gowns with an easy elegance and unexpected detailing”. Did someone ask about your something blue? Daalarna Couture Daalarna reflects a romantic aesthetic with a sensual, modern twist.